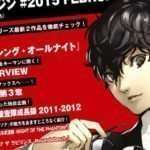 Following the announcement for the next issue of Persona Official Magazine releasing on February 23, a brief overview of what Persona Magazine #2016 March will include has been revealed. 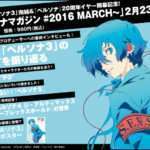 The cover of Persona Magazine #2016 March will feature Makoto Yuki for Persona 3 The Movie #4: Winter of Rebirth. 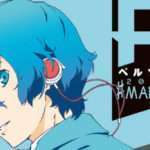 The magazine will include a poster of the illustrated Persona Magazine cover for Persona 3 The Movie #4. A look back at the Persona 3 The Movie series, from Chapter 1 (Spring of Birth) to Chapter 4 (Winter of Rebirth). 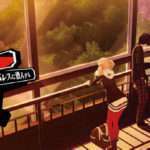 An in-depth examination of the characters from Persona 3, from the events of that game to the events of Persona 4 Arena Ultimax. Another look at Persona 5. As announced previously, the magazine will also contain an interview between Kazuhisa Wada (Persona 4 Arena Ultimax producer) and Rokuro Saito (Persona 4 Arena Ultimax manga author). The Amazon Japan page has gone up for the magazine. 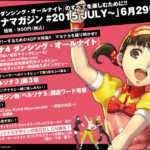 The previous issue of Persona Magazine was #2015 July on June 29, 2015.